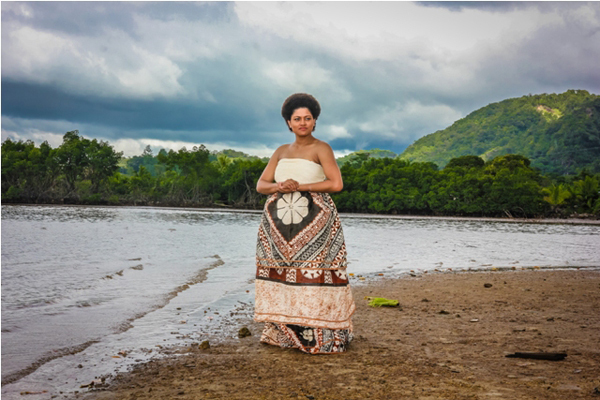 Alisi Rabukawaqa, an articulate, vibrant, 26-year-old Fijian known in Oceania as Miss South Pacific 2011, has set her sights on a novel conservation program in Fiji. The Conservation Officer program, created in 2013, supports natural resource management within villages in Fiji and links them with the government arm overseeing the needs of indigenous Fijians (iTaukei Affairs Board). Though Fiji’s Environmental Management Act finally passed in 2005, sanctioning natural resource protection, the Act wasn’t brought into force until 2008 due to a coup. Three years later, iTaukei Affairs Board decided it was in the best interests of native Fijians to form the Conservation Unit, which houses the officer program, and address such concerns as mining, pollution, and indiscriminate fishing practices. Numerous nongovernmental organizations (NGOs) and the Peace Corps have historically supported environmental projects in Fiji due to this previous gap in government capability. That support will remain, but Rabukawaqa thinks, “we should stop pulling at the coattails of others to help us.” Nevertheless, NGOs currently fund most of the Conservation Officers. Alisi Rabukawaqa as Miss South Pacific in 2011. In contrast to Miss America, a contest primarily focused on physical virtues, this pageant honors the talents and traditions of female Pacific islanders, including the Hawaiian islands. Photo by Epeli Tuibeqa. Indigenous Fijians comprise more than half of Fiji’s population, and communally own 87 percent of the land around the 330 islands. Roughly eight percent is “freehold” land for outsiders to own. Native Fijians have strong, customary links to their land, but only a third of these islands are actually inhabited. Fourteen provinces divide up Fiji, each with a Provincial Council led by an appointed Roko Tui, analogous to a state governor. Currently eight Conservation Officers, who are all indigenous Fijians, have been placed, but one will eventually reside in each province. Acting as the “eye and ears” they will bridge the community voices with those on the council. With academic backgrounds in science, the officers can supply a much-needed understanding of resource management. Due to her parent’s jobs as a nurse and doctor, Rabukawaqa started her travels early by moving several places around Fiji, including their family farm with pigs, cattle and crops. As an adult she followed an adventurous path, such as volunteering for shark protection at Would Wildlife Fund, or jumping on a traditional voyaging canoe for several weeks with just a day’s notice. Now based in the capital city of Fiji, this former Queen of the South Pacific talks about how she landed her job coordinating Fiji’s newly-minted Conservation Officers. Amy West: So you’ve seen a lot of Fiji. That’s not typical, right? Alisi Rabukawaqa: No, it’s not. I didn’t realize that people didn’t normally do that until much later in life when I met friends who had never even been to the west [in Fiji]. Alisi Rabukawaqa dressed in traditional tapa cloth that’s used in Fijian ceremonies and typically derived from the bark of a paper mulberry tree. Photo by Navneet Narayan. Amy West: You had the city life, but also the agricultural life? Alisi Rabukawaqa: In a way, I guess. When I was five, I would travel from a farm inland, come out to main road, come to Nasori town, catch the bus to Suva and attend primary school. It could take two hours; three if traffic was really bad. Back then it was a single lane. I would wake up early in the morning and then sleep on the bus all the way to school, play there, and then sleep on the bus on the way back home. Shortly after that we moved [less rural]. Instead of waking up at 4:00 a.m. I could wake up at 5:30! Amy West: Did you ever picture yourself living outside of Fiji? Alisi Rabukawaqa: No. My dad was supposed to, and he turned it down. He said ‘Why should I go work somewhere else when I am needed here in my own country?’ That kind of stuck with me. I have to stay in Fiji and help people because I am more needed here than any other place. Amy West: Not everyone would think that. Yet not everyone has an opportunity to go abroad. Alisi Rabukawaqa: 2010 was the first time I traveled [abroad]; I went to Brisbane. I got chosen In 2011 to be part of Ship For World Youth (SWY) Program where the Japanese government sends out invites to 12 countries, and they choose 12 delegates to do a cultural exchange program in Japan. Then for two months we all sailed to Solomon Islands, to Fiji, Brisbane, Vanuata. We have different discussion topics that we research beforehand. It’s all about youth involvement and what we can do in our society. Amy West: Since that program is more cultural, how did you get connected with conservation, which is more science? Alisi Rabukawaqa: Because the topic I selected was sustainable global development– the economy and the environment. Environment is a subset of the economy. If we have to pull out 100 million metric tons of fish, then we have forced the environment to do that. But how we should be approaching it is to look at what our environment can provide. Alisi Rabukawaqa working with USAID staff and villagers in Daku on climate change adaptation plans. Photo by Brooke Langston. Amy West: Did you have training in that? Did you go to college? Alisi Rabukawaqa: From 2007 to 2010 I studied marine science at the University of South Pacific. Amy West: Okay, so when did Miss Fiji come into this? Alisi Rabukawaqa: When the [Ship for World Youth] delegation came back in 2011, our project was to join this Hibiscus festival. It happens every year, and airs all across the region. The reach is crazy: 500,000 people in Fiji. We wanted to promote youth activism, getting young people more involved. It’s such an enriching experience traveling the world with zero dollars in the pocket. That was our pitch (I met my husband on the SWY program). And then I won! I became Miss Fiji Hibiscus. Part of the prize was to represent as Ms. Fiji to the Miss South Pacific Pageant. I took the same message along. Amy West: To show youth that you can see the world for nothing? Alisi Rabukawaqa: And do things like volunteerism- things you can do without a dime. 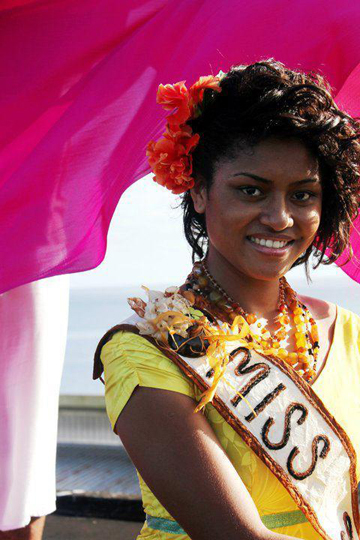 After I won Miss Hibiscus, [in late 2011] I also won Miss South Pacific! Then I was volunteering for the Whale and Dolphin Conservation Society, I did a fundraiser after a cyclone… I always tried to ensure that everything I chose to do was related to my field of study and something I could use later. I went back to school to start my postgraduate in 2012- Conservation and Biodiversity. Amy West: Now you have a job. I hear unemployment is high here. Do you feel lucky? Alisi Rabukawaqa: I think I am very lucky. A lot of my friends graduated and took the first job they could get, completely unrelated to their field of study. I am blessed I came across this opportunity along the lines of what I studied. Amy West: How did you see there would be a Conservation Officer Program? Alisi Rabukawaqa: I saw the ad in Fiji Times. It was random. I was just flipping through the paper. The position was for the province of Ra. 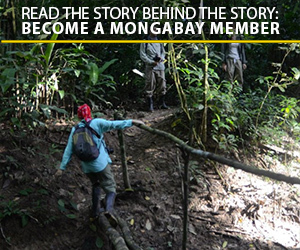 You stayed there and helped [villagers] with natural resource management. All this was just so appealing to me I wanted to chew it up and eat it. That’s how much I wanted it. I applied and I waited. When you really want something, the wait is unbearable. I really wanted it. 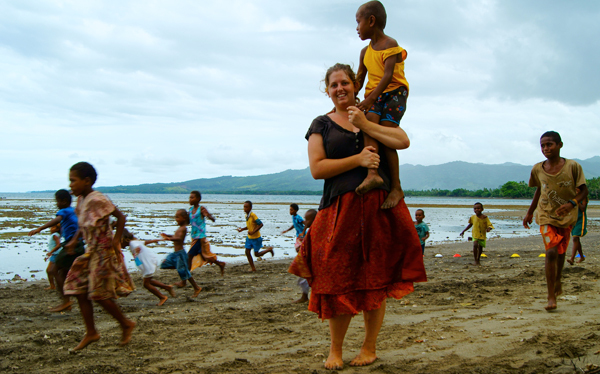 Some NGOs, such as Global Vision International (GVI), have established posts within villages to assist Fijians where they are under-resourced (e.g. youth education). Photo: Amy West. Amy West: Because you have the skill set to run the whole program? Alisi Rabukawaqa: At first I was like, ‘Oh, I am not going to Ra?’ But I think it was a good thing, a compliment. Someone needs to do this job, and they saw the potential in me. I will be coordinating the officers in the provinces and liaising with the Provincial Services division within iTaukei Affairs Board. Amy West: What can Conservation Officers do? They are not in the villages. Alisi Rabukawaqa: They support the work of the Roko Tui and have an advisory role for conservation and environment work. We’ll work with the climate change unit to develop a vulnerability and adaptation assessment. We want baseline data for all villages, but there are 1,171 villages and currently we only have eight Conservation Officers. 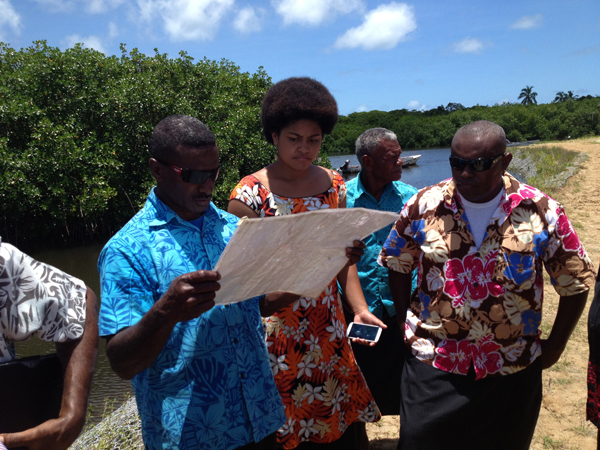 Roko Tuis receives EIA (Environmental Impact Assessment) reports for any development. Since they are more social scientists than environmental, the Conservation Officer will be able to help them review it. Amy West: So they are there to translate the science? Alisi Rabukawaqa: Yeah. One Roko Tui said, “It’s so good our Conservation Officer is coming because we get so many EIA reports and don’t know what to do with them!” I think for the most part this work can only be effective if the villages are also empowered to do the work themselves, than to have an outsider come in and monitor them. It’s how you relay the message. Natural resource management includes the visual and environment problems of proper trash disposal around Fiji, particularly outside the bigger towns where infrastructure is missing. Photo: Amy West. Alisi Rabukawaqa: There was an issue in Cakaudrove province. There was freehold land by the beach, but one of the people in the village was looking after the place. He bypassed the freehold landowner and was cutting off the sand and selling it for fixing up the highway. The owners didn’t know anything about it. When the complaint came, the Roko Tui went to the Conservation Officer. When she went there the guy gave her an EIA report, but she noticed that it was fake. They got the police involved and put a stop to the extraction. Amy West: You can tell people all day long not to dump rubbish, not to put piggeries next to the water. But how do you get people to change their mindset? Alisi Rabukawaqa: I think the villages have become sort of numb to people coming and speaking to them. The best approach is practical- we tell Conservations Officers you should give an active community example. For example, their water sources: don’t pollute them. You go with them around the village, take the leaders, the women, the youth. If you see piggeries by the water, you call them then and there and say, ‘Get some young people. You need to move this right now.” You show them. You work with them. Better than saying, “Move it!” and then leave. You get down and dirty. Amy West: What has the government normally done? Alisi Rabukawaqa: The Provincial Council has never done anything like this. In the past, the view from the communities has always been, ”Ah, they bring all these people from the outside to tell us what to do.” Now my view is that the Provincial Council is the people. It’s no longer just NGOs coming in to help them. It’s us working within. We are our villages. We are our communities. It’s us helping ourselves now. (06/06/2011) The Wildlife Conservation Society (WCS) and other partners are currently exploring a remote coral reef off Fiji’s Totoya Island.